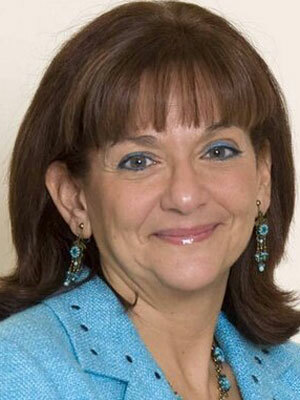 Dr. Ros Altmann CBE is a leading independent UK pensions expert and campaigner. Ros is an authority on all aspects of pensions, from investment strategy to company pensions, state pension policy, retirement and annuities. 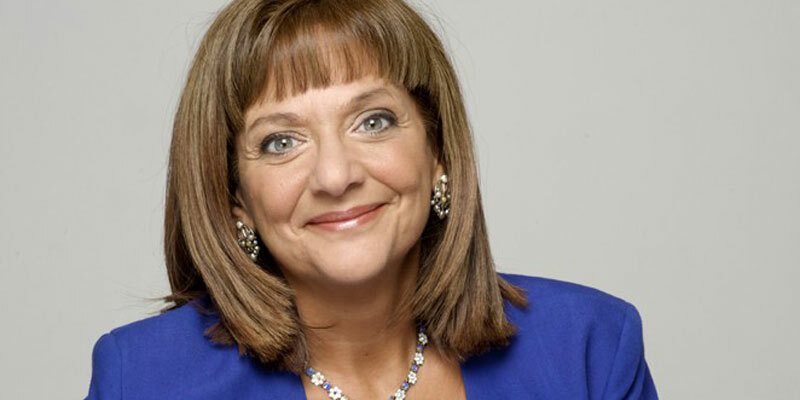 She is also famous as a champion for the rights of pensioners, having spearheaded a multi-year campaign to force the Government to restore lost pensions to 140,000 victims of the company pensions scandal. A major new report was launched on 11th March by the Government’s Business Champion for Older Workers, Dr. Ros Altmann CBE. The report is the culmination of eight months’ work and sets out ways to help more over 50s stay in or move into work if they want to do so. The need to retain, retrain and recruit workers over 50 is becoming increasingly important as the population changes and people live longer. I have set out to challenge outdated stereotypes, unconscious bias and age discrimination, which all contribute to preventing older people from staying in or returning to work. There are many ways we can tackle this – which I have addressed in my report – including apprenticeships for those over 50, flexible working and better training for line-managers. Acting on my recommendations can bring benefits to us all. Encouraging and enabling those who want to work longer is an idea whose time has come. It has the power to increase our country’s economic activity significantly in the coming years. That is why I hope this report marks the beginning of a great national debate. The over 50s are a major untapped resource – a hidden talent pool that can boost output, employment and living standards now and in the future for older and younger generations alike. The ‘nirvana’ of early retirement – a recipe for economic decline? By contrast, the ‘nirvana’ of early retirement makes little sense when life expectancy has increased and pensions can be problematical. It is also a recipe for economic decline. This is because by 2022, there will be 700,000 fewer people aged 16 to 49 in the UK – but 3.7 million more people aged between 50 and State Pension age. If the over 50s continue to leave the workforce in line with previous norms we would suffer serious labour and skills shortages, which simply could not be filled by immigration alone. The obvious solution is to embrace later life working, helping to realise the potential of older workers who have so much experience and talent to offer. This is not about being forced to work on, but enabling and encouraging those who want a fuller working life. Older workers can play a vital role in future growth both for individual businesses and the wider economy overall. We must make sure older people’s skills do not go to waste. As we can look forward to living longer, we need to re-think what ‘retirement’ looks like, especially as the population dynamics change. There are many potential advantages for all of us, including a stronger economy, higher living standards, less pensioner poverty, reduced benefit spending, and improved national wellbeing and intergenerational cohesion. Evidence shows that having more older people in work creates more employment for younger generations, so this will benefit younger people too as the whole economy has higher spending power. But if we are to seize the moment, changes are urgently required to overcome the many barriers to later life working which I have identified. Our concept of retirement must move with the times as people’s lives and the population demographics change. An increasing number of employers, individuals and organisations understand both the challenges of an ageing population and the benefits of employing older workers. But they are still a minority. Age discrimination and unconscious bias remain widespread problems in the UK labour market and more action is needed to overcome this. We need every business to wake up and recognise the value of older workers. There is so much potential – let’s realise it! Great strides for working mothers, so why not older workers too? As a society, in recent decades, we have made great strides for working mothers in the workplace. The work environment for women after childbirth is vastly different nowadays compared to forty years ago. I believe we will see a similar radical change in opportunities for older workers too in the coming years. The Government has made a good start by abolishing the default retirement age – so you are no longer forced to stop work at 65 – and extending the right to request flexible working. But more, much more, is needed. This is an issue of such national importance that I believe the Government should consider creating a permanent official role, across all departments, overseeing policies to overcome the current barriers and encourage fuller working lives. On a practical level, I recommend introducing funding for mature apprenticeships, particularly for those wanting to return to work after caring, or needing to change career. The cost of apprenticeships for younger people is already generously subsidised and this system is delivering good results. The same kind of extra funding support could work wonders for the employment prospects of many over 50s. Employers need to adopt age friendly policies such as flexible working, phased retirement, family care leave and even gap breaks. This can facilitate a new type of retirement, where people cut down rather than suddenly stop working, where health and wellbeing policies take account of older workers’ needs (including support for women through the menopause) and where employers enable staff to combine work with caring responsibilities. Line managers with the right skills are crucial to successfully supporting older workers. •Recruit – stamp out age discrimination from the recruitment process. Of course older workers themselves need to embrace the opportunities too. Just as we need employers to offer training, we need employees to take up the training and consider changing careers if necessary, rather than just retiring.